Numerous law firms around the United States have chosen EthoSource for our provision of carefully selected products that meet the functional and aesthetic needs of the firm. EthoSource has substantial experience in helping law firms create environments that meet the unique functionality needs of the staff, while at the same time reflecting the culture of the firm. 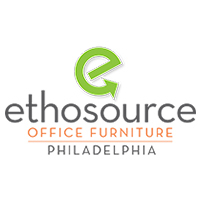 EthoSource has worked with some of the nation’s largest single and multi-location firms on full service projects that include: Quality New, Refurbished, or Preowned Furniture; Expert Project Management; Professional Design & Space Planning; Furniture Facelifts; Move Management; Office Furniture Storage; and Office Furniture Liquidation.